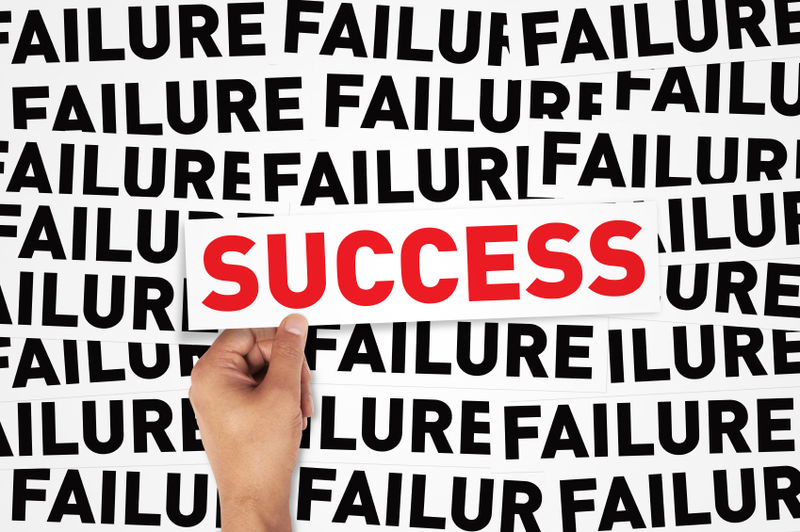 The world of business can be very murky and failure in business is not uncommon. In the life of an entrepreneur, there is this very possible scenario that could play out: You set up a business, see clear opportunities and you take them. Profits are made, and so alliances are built. Everything seems pretty good and well until, like a black wind; in a swoop, all comes crashing down. And from being on the top, you find yourself at your lowest. You have lost it all! Hmmmmmm. This is what almost all successful entrepreneurs have seen in their early days. How you respond to this ‘great fall’ will tell how far you can go in the journey of business. Now, understand this, the fall and the storm is brought to you to help you achieve greatness in business. Without it, it’s like a General without war experience. Such a General would only be respected when other war-decorated Generals are not around. Less General! When that fall comes, don’t be discouraged. But take these steps for a rebound. Accept the reality of the fall – your new status. You are down. This is very fundamental psychology because it clears your heard. You can even laugh at yourself. It opens door for healing. Turn to God and make peace with Him. This is a turning point as it clears away the foolishness of trying to hold unto scraps of the past. With this settled, roll up your sleeves for full analysis and strategy planning….probably without enough resources. Shut out frivolous gathering and yes-men and surround yourself with the disciplined and focus few. A crowd can never solve a puzzle. It must be done by a few. Leave the spotlight and pick this ‘few’ wisely. Brainstorm on what happened, how it happened, why it happened, what’s left of the old and chose what constitutes a seeds. You will always have a rod to go to Egypt with. Approach all creditors (if any) to explain your reasons for defaulting or falling. Be open about your state and be clear about your plans to pay up. They might be angry and promise brimstone. Don’t be deterred. In the long run, this will give you integrity before associates. Your integrity must be guarded jealously, lest you prolong your climbing time. Begin to take decisions with God in the mix. Remember, it is God who gives the power to create wealth. You can’t be thinking of climbing back into profitability without the guidance of The Holy Spirit. Discipline must live with you like never before. Be very patient about a come-back, but be focused on your plans. Long term plans are the only reason you should be building a business again. Anything less means you haven’t learnt your lessons. Be fearless but more calculated. Already the fall could have made you fearless or more fearful. Chose the former. Now that you have tasted both sides of the divide, you are best suited for the real success. This is your real time opportunity. The initial success had to give way for the phase of your business life. God be with you, Champ! This article was written by Ofioguma Tonye Samuel, a Nigerian Entrepreneur.